I am thrilled to present the wise words of ACE Eddie Award winning picture editor, Stephen Rivkin. As well as being the recipient of several industry awards for editing, he is also an Oscar (R) and BAFTA nominee, for his work on Avatar (2009). 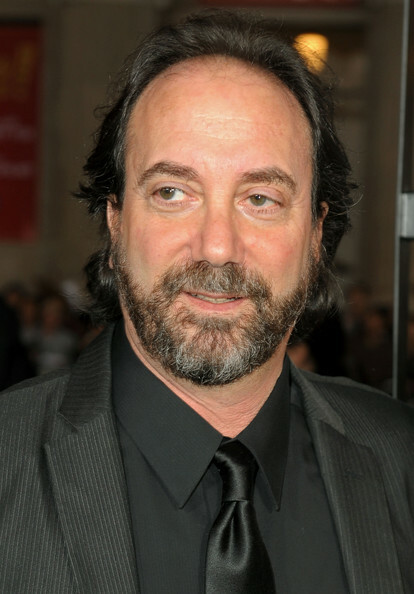 His other recent work includes three Pirates of the Caribbean movies and January’s actioner, Black Hat (2015). He started his career in the early 1980’s after graduating from Minneapolis College of Art and Design. He has worked with some of the most eminent directors in the business, and currently serves as the Vice President of the prestigious industry association, American Cinema Editors. If anyone has some good advice for people hoping to build a successful, long-lived career in the business, it is Stephen Rivkin. What was your very first job in the business, and how did you get it? While studying film and television production at the Minneapolis College of Art and Design, my film instructor secured a grant for the class to do a half hour documentary and financing for a short corporate image film. I did various jobs including some cinematography and editing. After graduation, I continued to work with my instructor on a couple of independent projects. With some experience under my belt and a resume of some film work, I went to a number of local commercial houses looking for freelance work. It didn’t take too long to realize that it was important to specialize. Even though I had been taught all aspects of filmmaking, nobody wanted to hear that I would be willing to do any job in film production. Since I felt most in control of the creative process with my experience in editing, I chose to sell myself as an editor. I borrowed some money and purchased my own editing equipment so people would take me more seriously. It worked. I began cutting commercials and industrial films as a freelancer. What about your second job? My commercial/corporate work led to my relationship with a director who developed a low budget feature, which is why I always tell young people in the business that you never know what you might take away from any project. In this case, it led to my feature film career in Los Angeles. When you are hiring, especially for entry level positions, what do you look for on a candidate’s résumé? Or are there any special characteristics you look for? In the freelance world, I look for experience of an applicant in the specific job. I also look to see if a person has been hired more than once by the same people. That’s important and speaks volumes. I also look to see if I know any previous employers. Word of mouth is everything. If you have reference who will say something good on your behalf, that is invaluable. I have a first assistant who will do most of the screening when we need a crew for a project. Many hopeful assistants often approach editors instead of 1st assistants. I think that is a mistake. When I get resumes, I keep them on file but forward them to my 1st assistant. Entry level is the hardest because there is no previous experience. We don’t hire entry level with the exception of post production assistants. In today’s world, even then we look for previous experience. Do you read cover letters? Sure. Hopefully, they’re not too long. The work experience should speak for itself. What is the worst piece of career advice you were ever given? This is a business where everyone has an opinion about everything and everybody. Some of the best relationships I have are with people who have reputations for being difficult. In my profession, your ability to collaborate is everything. We had a commercial director come and make a presentation at my college. He said that the film business is horrible, competitive and your chance of success is remote. So unless you love what you do, pick another profession. I say don’t be in a hurry. There is something to be learned from any film project you’re involved in. Love the road, because it’s a very long road. Previous I Didn’t Mean to Ignore You! Next Career Paths – Where do I start to get where I want to go?